Delicious meal replacement bars. High in protein and carbohydrates. Almond Cream bar by Meridian, delicious and healthy. Bar to recharge energy effectively and immediately. Keep your energy levels topped up, and enjoy the flavour of this fantastic bar. Satiating bar with muesli, nuts, seeds, and yogurt coating. Energy bars with L-cartinine and B vitamins. Delicious protein bars (46 g of protein and carbohydrates) enriched with vitamins and minerals. A delicious oatmeal energy bar rich in carbohydrates. Energy bar with 27g of protein. A delicious bar of peanuts and coconut chips. Amazing bar to take during your day. All the products are natural and the taste is very good. The relation quality/price is the best, you know everything that you are eating. Taste is pretty good ... value is good if you can get this bar at a discount. Delicious and tasty, easy to grab snack. Suitable for vegans .The jar of spread is great. A bar is a small snack or nutrient supply, that is, it could be compared to a small meal. Depending on their composition, they will provide more or less protein, fat and carbohydrates, and depending on the time of the day when they should be eaten. When should I eat the Bars? For example, meal replacement bars can complement our diet because they are extremely easy to transport, allowing us to eat them at any time and place. 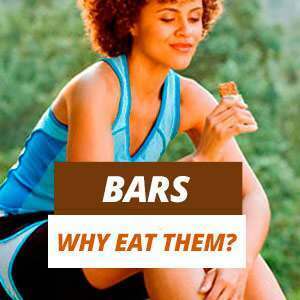 There are also satiating bars whose purpose is to prevent us from eating other types of food that can hinder our objectives or goals: losing, maintaining or gaining weight. Protein bars are specially aimed at people who do physical exercise, since they have a higher demand of this nutrient than the general public. Energy bars will be particularly useful for those athletes who follow endurance training routines. You will have to choose the bar that best suits your needs. Bars are a healthy snack to eat between meals. They provide energy and help to preserve our muscle mass. Endurance sports: we should eat energy bars. However, we can include a post-workout protein bar. Strength sports: we will mainly use protein bars. If our goal is to achieve weight loss and preserve as much muscle mass as possible, high protein bars will be the best choice. However, if we are trying to maintain our weight and not gain, the satiating bars will provide a higher fiber content that will calm the appetite between meals. Depending on our objectives, we will eat satiating or meal replacement bars at any another time. The meal replacement bars will provide almost the same nutrients as a meal, but on a smaller scale. Usually, the serving will be 1 or 2 replacement bars to match the calories of a meal. These satiating bars are ideal to take with us if we are on the move and do not have anything to eat. Like this, we will continue to obtain all the necessary nutrients. They can be used as a snack or even as a meal. The producers of meal replacement bars are interested in providing high quality nutrients, that are low in carbohydrates and specially sugars, with a good protein and micro-nutrient content. Some of the top selling brands of replacement bars are: HSNfoods, Quest, Amix Nutrition, Quamtrax, Gold Nutrition, Meridian, Prisma Natural. The energy bars tend to be rich in carbohydrates. They are ideal for those moments when we need an efficient energy supply. These bars are usually small so that they are much easier to transport while doing exercise. Using them when we feel we need energy will help us keep the pace shortly after eating them. Some of the most renown energy bars brands in the sports nutrition market are: Victory Endurance, Gold Nutrition, Multipower, Amix Performance. They produce bars for athletes and sportspeople so that they can use them to obtain energy at those moments when they need it the most. The protein bars are those that provide more proteins than other macronutrients. They are designed for those who perform activities that involve a higher breakdown of muscle fibers due to the type of exercise, like weightlifting. 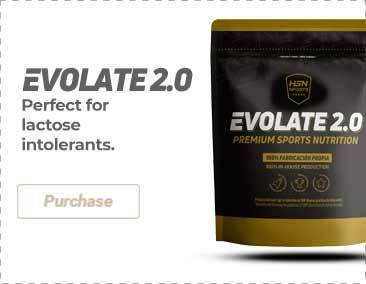 In this case, it is advisable to consume 1 to 3 bars of this kind, either between meals, or before and/or after training in order to provide amino acids and contribute to the regeneration and growth of the muscles. Other athletes can apply the same criteria if they are going to suffer muscle breakdown, even if the activities are not the same, they will just have to reduce the daily amount. The manufacturers are always trying to come up with appetizing and nutritious protein bars for such a demanding public. Nowadays, people control their diet down to the smallest detail and, above all, they want a high protein and low calorie supply, specially avoiding sugar. Some of the best brands to purchase protein bars are: HSNsports, Weider, Scitec Nutrition, Biotech USA.